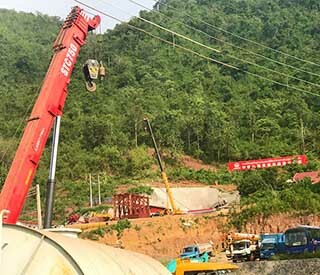 A high-speed railway connecting Laos to China is among Beijing’s most aggressive investment forays into Southeast Asia. The U.S. $6 billion project will stretch 409 km (254 miles) from the Lao-China border to the Lao capital, Vientiane. Laos, an impoverished nation of nearly 7 million people, is looking to boost socioeconomic development through trade, manufacturing, tourism, and sales of electricity produced by damming the Mekong and other big rivers. The Lao-China railway is a signature part of that effort. 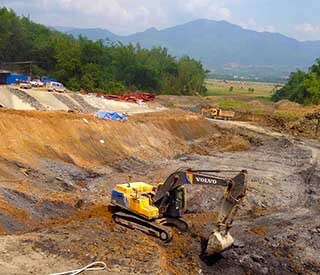 More than 3,800 hectares (9,500 acres) of land have been reserved for the mega-project, and an estimated 4,411 families will be relocated, Rattanamany Khounnivong, deputy minister at the Lao Ministry of Public Works and Transport and one of the heads of the construction unit for the single-track, standard-gauge rail network, told RFA’s Lao service. 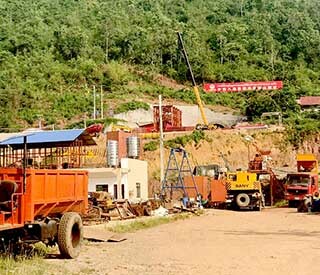 Since the groundbreaking ceremony for the railway in December 2016, workers have been blasting tunnels in mountains, building bridges and roads, and clearing land for stations and substations along the planned rail line in the three northern Lao provinces of Luang Namtha, Oudomxay, and Luang Prabang. Officials have recruited more than 7,000 Lao workers to build the railway, most of them residents who live near the project, Rattanamany said. The planned rail network will have 33 stations, of which 21 would be operational initially, according to the Ministry of Public Works and Transport. There will be 72 tunnels and 170 bridges. 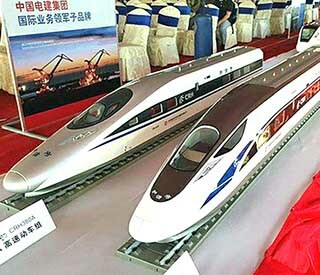 Passenger trains will travel at a speed of 160 km per hour, while the speed of rail freight will be 120 km per hour. China also benefits from the arrangement, with Beijing now able to count on Lao support in ASEAN for China’s claims in the South China Sea, Hart wrote. Some villagers who were forced to leave their homes say they are still waiting for compensation from the government. “We know we will be compensated for sure, but we have no idea when we will get paid,” a resident of Luang Prabang who had to give up his house and land for the project told RFA. The seizure of land for development—often without due process or fair compensation for displaced residents—has been a major cause of protest in Laos and other authoritarian Asian countries, including China, Cambodia, and Myanmar. In communist countries, where all land formally belongs to the state, land use and property rights can be complicated. The Lao government expects the project’s steering committee to approve the final compensation scheme, though assessments of the social and environmental impact of the railway are taking time, Rattanamany told RFA’s Lao Service. Rattanamany also said officials are evaluating the amount of money to be paid for land according to market prices to ensure people receive fair compensation. This is being done with the participation and the consent of the people, he said. Villagers whose homes, land, and farmland are affected by the project told RFA that they are still waiting to learn how much compensation they will receive, where they will be relocated, and the dates of their relocations. Also speaking to RFA, other sources voiced concerns over lack of transparency in the payment process in a country notorious for corruption and lacking independent media. “If the government pays us $500 per square meter, I want to receive $500 - not $200 or $300,” he said. 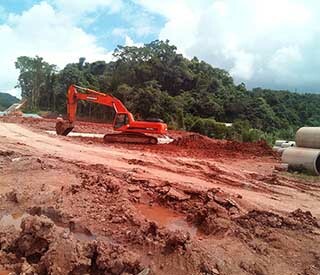 Fasanan Thammavong, director general of Luang Prabang province’s public works and transport department, told RFA’s Lao Service that his department is reaching out to the people affected by the construction. But he admitted that they are still ironing out the final details. While officials told RFA that Lao workers would be hired to operate the heavy equipment, Fasanan declined to say how many Chinese workers will be employed to build the project. It has been previously reported that more than 50,000 mostly Chinese workers will be hired to build the project. 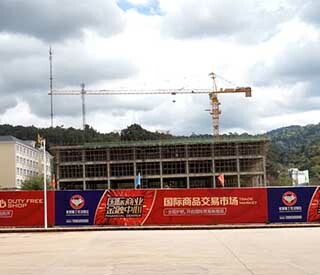 A source in Oudomxay province’s Xay district told RFA that four villas are being built to accommodate Chinese workers in area. About 100 Chinese workers are already in the province, the source said, and they are gearing up for the railway’s construction. Fasanan told RFA that he is unsure how many Laos will be hired in his district. “I do not know more details on the Lao workers who will work on the project,” he said. Minister of Labor and Social Welfare Khampheng Saysompheng recently told local media that his ministry has yet to be told about the make-up of the workforce. “We still don’t know what kinds of skills are needed,” he said after a December meeting in Vientiane of the cabinet, Vientiane mayor, and provincial governors, according to the Vientiane Times. Lao villagers attending a meeting on October 27, 2017 promoting the project were blocked from asking questions about compensation and where they will be moved when displaced from their land, Lao sources told RFA at the time. The meeting brought together more than a hundred residents of Nathom, Nongviengkham, Donenoun, and other villages in the Xaythany district of Laos’ capital Vientiane, and was convened by a district-level committee formed to boost the project, sources said. But participants quickly came to feel that officials were ignoring their concerns, one woman who attended the meeting told RFA’s Lao Service.